The Hollywood Reporter (THR), a respected and renowned media industry publication, supports an idea Soap Cities brought you last week: journalist Megyn Kelly’s upcoming NBC news show will likely not replace Days of Our Lives. THR quotes several industry insiders as saying NBC is likely to place Kelly’s show in the coveted 9:00 a.m. time slot, preceded by Matt Lauer and Savannah Guthrie’s show that currently runs from 7:00-9:00 a.m.
Last week People and Soaps In Depth speculated that Kelly’s show could replace our beloved NBC sudser, and we disagreed. “Sources inside and outside NBC are pointing to a likely scenario of giving Kelly the troubled 9 a.m. hour of Today in lieu of launching a daytime show and mounting what would be an uphill sales pitch to stations,” THR reported. It goes on to say that NBC has the opportunity to rebrand its 9:00 a.m. news time slot using Kelly’s talents at reporting and interviewing. Much about Kelly’s show remains unknown or undecided. 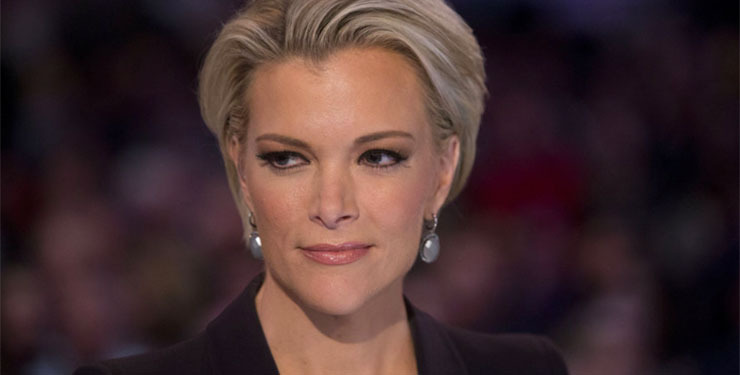 Megyn Kelly’s decision to reject a lucrative deal at Fox News to continue work there and instead make her way to NBC made headlines recently. But her Fox News contract has a six-month noncompete clause, meaning the earliest her NBC show could air would be July. Days’ contract, meanwhile, has it safe through September. We at Soap Cities, then, believe NBC will not make the mistake of replacing Days with Kelly’s show, or anything else for that matter. Industry execs are savvy, and they likely learned from the mistakes of Brian Frons and Anne Sweeney who oversaw the cancellations of “All My Children” and “One Life to Live,” inspiring the ire of soap fans and launching the Save Our Soaps (SOS) movement. That movement still goes on today. The canceled CBS and NBC soaps still have loyal followings and fall under the protective, dogged wing of the SOS movement too. When ABC launched Katie Couric’s daytime talk show, news outlets reported she specifically asked they not replace “General Hospital” with her show. She didn’t want to the anger of passionate soap fans negatively affect her own show. Couric is a seasoned, savvy news woman. We at Soap Cities believe Kelly and news executives at NBC will show similar smarts when it comes to making decisions about when her show will air. “NBC is likely to place Kelly’s show in the coveted 9:00 a.m. time slot, FOLLOWED by Matt Lauer and Savannah Guthrie’s two-hour show that runs from 7:00-9:00 a.m.”? Shouldn’t that be PRECEDED by? Thank you for pointing that out, SallyZ.